We've made it to the end of another series on The MacGyver Project! As I rewatched Quantum Leap for the first time since I was in junior high, I was surprised by how little I remembered most of the episodes, and that made it fun because it was like seeing them for the first time. Like MacGyver, it had been a show I enjoyed watching with my mother, and I was curious to see how it would hold up through adult eyes. Well, the answer is that it holds up just fine -- in fact, I enjoyed it even more than I was expecting. It's an exceptionally well-written, well-acted, well-produced show, but it's really the performances of Scott Bakula and Dean Stockwell that elevate the series to another level. Just as Richard Dean Anderson did with MacGyver, Bakula brings a sincerity and humility to the part of Sam Beckett that makes for a character that is easy to root for. And the series is defined by Sam's relationship and friendship with Al -- the dialogue and chemistry between them is wonderful. Time for some data analysis! When it comes to episode locations there were 27 states represented -- the top 3 were California (22 episodes), New York (12) and Texas (7). There were 5 foreign countries visited (Vietnam, Egypt, Japan, Soviet Union, and England), and there were 3 episodes at sea. I counted 34 guest stars who were also on MacGyver. I compared Mark's final rankings with my own and found that we had two that were in the exact same position: Nuclear Family at #75 and A Portrait of Troian at #91. And I noticed quite a few that were off by just one spot. With MacGyver, we had just one episode in the same spot (The Outsiders at #23). Thanks to Mark, Highlander, my mom, and everyone else who read or commented on my Quantum Leap posts, and hopefully more people will discover the show in the years to come (and ideally it won't take a lackluster reboot to inspire interest from the next generation). And it would be great if the series would come back to Netflix at some point in the near future. Next up I'll be covering the 1980's Mission Impossible tv series -- more to come on that in a post very soon! I went into this series with a more limited background than you had. It was no an inconsequential background though as in the summers of 1990 and 1991, I watched the series on reruns and probably took in a dozen of the more than 90 episodes, all from seasons 2 and 3. I was 12/13 years old at the time and never took to the show as I expected because it wasn't the kind of show I expected. I anticipated a more straight-up action/crimefighter show, the kind of show I always connected with best...and still do for that matter. It's a sign of the times that back in 1990 and 1991 I was also a little bashful about "Quantum Leap" because of what felt like "adult content" at the time. As a preteen, I was very sensitive to watching stuff in front of my parents that would embarrass me...and pretty much every week on "Quantum Leap" I seemed to be watching episodes where women were taking their tops off or "Samantha" was romancing his/her boss or stories were getting resolved with lesbian lover affairs, a scandalous plot device at the time. Probably more than anything else, this contributed to me breaking away from "Quantum Leap". Revisiting it a quarter century later, it was nice to see the stories through adult eyes. The format was clever and intrigued me when I was 11 years old when the show premiered and still does now, only now I can appreciate more than caliber of production values a show like this required where an entirely new set design was required for each week. The crew on this show really had to have been on its toes for five years to pull this off, and I can imagine they had some nervous moments where deadlines were approaching and some level of the production was behind schedule due to the high margin for error. But despite my appreciation for what this show brought to the table from a creative standpoint, I didn't connect with it the way I did with my top tier of shows...or certainly "MacGyver". Without the traditional beats of an action show to carry a primetime drama along, some first-rate storytelling was required to fill the void. About half of the "Quantum Leap" episodes seemed to have the foundation for outstanding storytelling, but only in about a dozen or so episodes did I feel that they unconditionally nailed it. Other episodes, such as the recently reviewed "Beast Within" told three-quarters of an outstanding story but drifted to an unsatisfying final quarter and a clichéd closing scene. Another episode, the one with the gay soldier, was really rolling along with fine storytelling but overdid it in the final quarter when no fewer than three of the other main characters from the episode either "came out" or were "outed" in one way or another, and it defied credibility given the time period and the culture of the military. Now even some of my favorite "MacGyver" episodes took narrative detours that I felt were miscalculations. It made no sense for MacGyver to figure out Zito's riddle at the end of "Lesson in Evil" yet still get shanghaied by the bell tower trap. MacGyver and Zoe walking out of the Temple of the Holy Rose with Holy Grail in hand yet moping around about not getting the rest of the Ambrose artifacts was head-scratchingly odd. The difference between those "MacGyver" episodes compared to "Quantum Leap" episodes where I thought the narrative went off the rails is that the "MacGyver" episodes was saved by the imaginative action scenes and crimefighter show beats that were well done and defined the franchise. "Quantum Leap" rarely had those bells and whistles to fall back on, meaning that it was harder as a viewer to paper over plot holes or less-than-stellar writing when they arose. I'm probably approaching my 4,096-character limit so I'd better post this and continue my final thoughts in another comment box. What I liked best about "Quantum Leap" was the altruistic farm boy character "Sam Beckett" himself and the first-rate atmosphere the show was able to capture in most episodes, particularly those set in the segregated Deep South. In general, I thought episodes where the conflict was driven by generations-old racial tensions were some of the series' shining moments. One episode that was one of your favorite that captured both Sam's altruism and the series' successful forays into racial polarization was "Pool Hall Blues", where Sam naively went to the bank to try to secure a loan for the African American-owned business, believing that if he just made his case sincerely enough, he could overcome the inherent prejudices of the era. It was endearing. Likewise, in my favorite episode "The Leap Home", particularly part 1 which I maintain is the show's shining moment by no small amount, his tireless efforts to save his father from his own stubbornly bad health choices made that episode's narrative all the more consequential. Sam's altruism had its moments of annoyance as well, but I think they can mostly be chalked up to sloppy writing. You mentioned "Nuclear Family", and whenever I think of that episode, I always think of Sam constantly telling everyone "there won't be a nuclear showdown with the Soviets" and it constantly falling on deaf ears throughout the hour, yet for some reason Sam never changed his approach. A mixed-bag for me on this series was....Al. Some episodes he was downright insufferable. I didn't have a problem with him being a hopeless skirt-chaser, but when he was lurking around high school cheerleaders that got to be a little creepy. Beyond his taking his "ladies man" reputation too far, the two most persistently annoying characteristics the writers never seemed to be able shake from Al were the shrill screaming and his cartoonish fear of the bogeyman of the week on the darker episodes. As an adult man, his voice wasn't as eardrum-piercing as the adolescent Chunk from "The Goonies" in the too-frequent moments when he was shouting at Sam to "say this" or "go there", but it needlessly drowned out the drama or created scenes that were way too "busy" on more than one occasion, moments where I'd have preferred to focus on the interaction between Sam and another character. As for "bogeyman of the week" grievance, when Al acted like a hybrid of Scooby Doo and Shaggy in reference to everything from Bigfoot to vampires to the Bermuda Triangle, it cheapened his character as this fearless war hero and man of science. On the other hand, it was hard not to love Al when we saw how good he was with kids, when he relayed touching personal stories such as his sister with Down's syndrome in "Jimmy", and in the series' more powerful scenes, the closing of "M.I.A." where hologram Al danced with his former wife who thought he was dead. Also a mixed bag was the series' shift towards gimmickry involving his leaps in the last season. Some of these forays were minor successes, such as when he became the astronaut chimp, and both the Elvis and Marilyn Monroe episodes, all of which were salvaged with good stories and atmosphere. But some of the series' biggest disasters were those last-season gimmick episodes. "Lee Harvey Oswald" was an irredeemable mess that would have sucked even if it was one hour let alone two....and the "Dr. Ruth" episode was one of the worst hours of television I've ever seen. My biggest bone to pick with the series was the narrative conveniences they took as it relates to the "Quantum Leap" project. Nothing was more eye-rolling than the concept of the "waiting room", invented in season 3 as a location where the person who Sam was replacing sat in wait for Sam to complete his mission and rolled out intermittently from that point forward with varying degrees of knowledge as to why they were there and varying levels of cooperation. If they had access to the real person Sam was leaping into, it should theoretically have made Sam's job much easier in nearly every episode. I also had issues with his "Swiss cheese memory", which seemed like a convenient means of helping Sam remember things that served the narrative one week and not remember things that served the narrative better then next week. 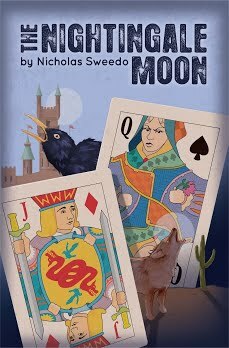 The degree to which they leaped into his own or Al's past lives or the lives of those who were closely connected with them also got confusing in terms of why it was fine to save one person's life for the better but not another's. And even though I mostly liked the Civil War episode, for the series to set a hard and fast rule that Sam could never leap outside his own lifetime but then, without explanation, finds himself in the 1860s, annoyed me. Overall, the series was fun to revisit through adult eyes and I thank you for guiding me towards it. Having watched them all, do you still feel like "The Boogieman" was the worst episode? Or is it just a case where you don't connect with it but concede there were some that were more poorly done? Even more so than "MacGyver", you seem to have emotional favorites on this series that you concede were not without flaws. Are there some you'd move significantly one way or the other since rewatching? I'm amazed you haven't seen the show since junior high. Twenty years is a long time and tastes and preferences change, so I would think some episodes have rising stock and others have smaller. I'll have to look through your ranks more thoroughly later in the weekend to see how far off I am from your list. There's no official "lackluster reboot" of "Quantum Leap" but there have definitely been plenty of time-travel imitators, including the movie and TV series "Stargate", the 90s TV series "Sliders" and the current NBC action-drama "Timeless", which I'm still tuning in for even though it's cheesier than a hand-rolled pan of manicotti. Great comments, thanks for posting all that. I don't know that I'd consider The Boogieman my least favorite -- I'd have to watch it again to be sure. But even if it was, it would be because I didn't care for it rather than being poorly done (for example A Portrait for Troian was more poorly done). I have moved some of them quite a bit since I did the rankings (and I actually went back and changed the number in my post) -- I don't remember which ones though. And the rankings don't really have anything to do with how I thought about them 20 years ago since I didn't remember most of them, except for maybe my top 2 which I remember enjoying as a kid and so maybe that somehow elevated them in my subconscious when ranking. As for the idea of emotional favorites, I do tend to evaluate things a little more on emotion and intuition rather than on more mechanical things like plot or character development. I'd think you're similar for your top episodes like Cleo Rocks or Brainwashed in that I'll bet you have a strong emotional connection to them (evident by your annoyance when others mock them) that isn't totally logical or based on plot alone. I wasn't sure if "Pool Hall Blues" would hold up through the very end as your favorite episode. Is it still a clear winner for you having watched them all again or more ambiguous? The "evil Al" angle alone would keep me from rating "The Boogieman" as my least favorite as I thought it was very well done. That episode had its moments of clunkiness but definitely nowhere near the bottom. How about "Future Boy"? I remember that one being an episode you rated high that I gave a bad review on...and I seem to remember you saying you didn't think it was as good as you remembered it but correct me if I'm wrong on that. 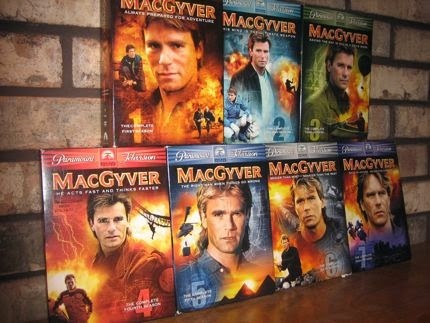 Think you'll do a full re-ranking of episodes as you did following your latest "MacGyver" viewing? I totally get the "emotional favorite" angle. At times though, episodes that were emotional favorites three decades ago don't hold up as well as memory served me. "The Golden Triangle" episode of "MacGyver" is a perfect example of that....and I tend to recalculate with that in mind. "The Golden Triangle" was as high as #3 in my original rankings and remained in the top-10 (at #8) after my first round of re-rankings. It was only after my more comprehensive re-rankings in 2007 that I let go of the legacy a bit and pushed it down to #25, which seems more along the lines of where it belongs. Ditto for "Lost Treasure of Atlantis" which I had in the top-25 back in the mid-90s but has dropped to #62.....truth be told there's still room for that one to fall further. If you could isolate one or two things about "Quantum Leap" that worked best for you (and worked least) as I did, what would you say? I've still watched only the first "Mission: Impossible" but was very impressed. I should watch a couple more Sunday night and Monday as I'm lucky enough to get MLK Day off this year. Yeah Pool Hall is still my #1. Future Boy I'd have to watch again before changing. And I'm not planning on doing a re-ranking but I may switch things up if/when I ever watch them again. What worked best for me on QL was Sam Beckett's character -- like MacGyver, his friendliness and sense of morality made him someone I related to and admired as a kid, and it made him easy to root for as I said above. Other things include the interplay between Sam and Al, any time Sam got caught talking to himself, the changing setting and time period from episode to episode, and the Dvorak Leap Home theme. What didn't work as well for me: overly dark/creepy episodes and Al's over-the-top fixation on women no matter their age.